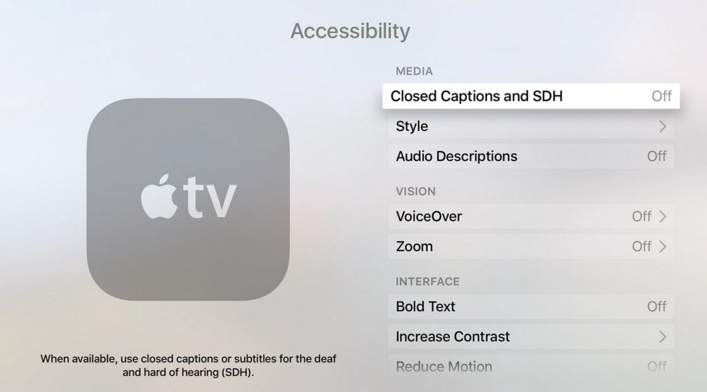 The Apple TV has another one outstanding feature, and it’s a Closed caption and Subtitle under Accessibility settings. You can also customize caption subtitles fonts and style. I understand your sentiment that the Closed caption on ATV helpful either you watching Hulu, Netflix or YouTube app. You are playing videos and hard to hearing by default at that time you should toggle turn on closed caption on Apple TV 4. You want to activate, but you don’t find a Settings right, Don’t worry. 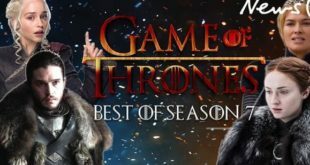 Here you can get everything about closed caption and subtitle such as Turn Off Closed caption on Apple TV 4. 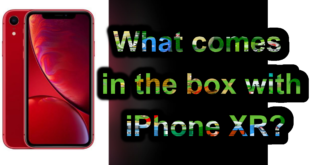 While you are watching a video with including captions and subtitles at that time, you can turn on/ turn off closed caption on AT4 by long press the center of Siri remote touchpad. Also, The Apple tv 4 comes with Siri remote (Case), so you can also use Siri to disable/enable Subtitle and Closed caption. Step 1. 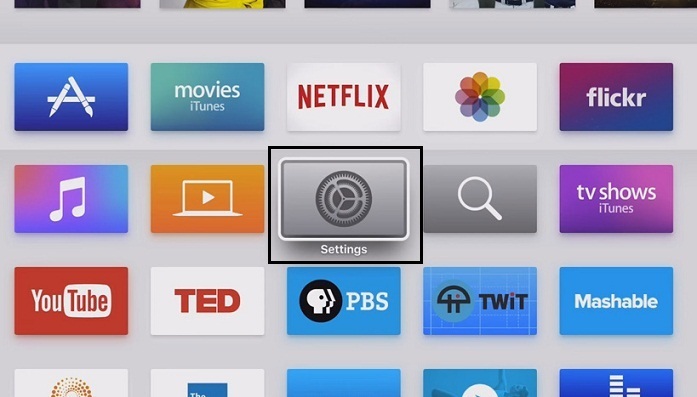 Go to Settings App on your Apple TV. Step 4. Make the turn on Closed Captions and SDH under Media label. Go to Settings >> General >> Accessibility and Turn Closed Caption and SDH ON. If you don’t like default Captions and subtitles font style and size, then you can make changes in it, as well as you can create your style. 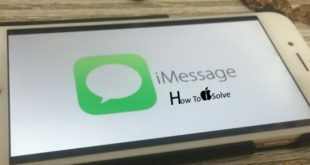 How to do it that I’m sharing at below. Go to Settings >> General >> Accessibility >> Select Style >> Default, large Text, Classic. If further any assist you need about turn on closed caption on Apple TV 4K/ ATV 4th Gen, then don’t hesitate and ask us as a comment. Ever closed caption won’t turn on or turn off on Apple Tv. Then you should restart your Apple TV.